This photo, provided by Erin Clark and her attorney, shows what she says is the rash and blistering that developed after she wore the Fitbit Force wristband. The device has since been recalled. Erin Clark admits she’s competitive when it comes to sports and recreation. From cycling to running to walking, the South Philadelphian is always trying to best her friends. So she was thrilled when a gift-wrapped Fitbit Force arrived from mom this past Christmas. “I wanted one. All of my friends had a previous version of this and really loved it so I really wanted one…and have friendly competition with friends,” she said. The activity band, developed by the popular California-based fitness technology company, acted as a health tracker. The plastic wristband, which is about three-quarters of an inch wide, features a LED screen and stainless steel case and measures a person’s physical activity and sleep patterns. That data is then reported to an online portal and app where you can compare your fitness level to friends. Clark said she wore the band night and day as directed, with the exception of in the shower, and was loving the experience for about a week, when an abrasion began to form on her wrist. But Clark said the rash grew, got worse and started to blister. To make matters worse, she said a similar rash began on her other wrist, prompting her to immediately stop wearing the device. A 31-year-old administrative professional, who works at a local medical college, Clark said she asked a doctor she worked with for advice. They advised using cortisone cream, she said. However, a week later, the rash persisted, prompting her to go to her doctor who prescribed a prescription steroid cream and antibiotics. Clark says after a number of doctors’ visits, she learned online other Fitbit Force owners were experiencing similar issues across the country. She says she contacted Fitbit about the rash, asking what the cause might be, but says she only received generic responses. It wasn’t until March that Clark says she received word that the device was being recalled and was asked to send it back for a full refund. Instead, the woman says she held onto the device, didn’t cash the check, hired an attorney and filed a lawsuit claiming Fitbit was negligent, failed to properly warn consumers of alleged issues from wearing the device and committed fraud. About 1 million devices were sold in the United States and Canada and there are nearly 10,000 reports of skin irritation from wearing the band and 250 reports of skin blistering, according to the Consumer Product Safety Commission (CPSC). Fitbit stopped selling the Force on February 20 and issued a voluntary recall. The CPSC then announced the recall on March 12. In a statement, a Fitbit spokesperson tells NBC10.com the company has had independent testing conducted and that the results point to contact dermatitis possibly from the materials, like nickel, which are used in the wristband. “Some users may be reacting to the stainless steel used in the device -- although it is surgical grade and meets the most stringent regulatory standards -- while others are likely experiencing an allergic reaction to the materials in the strap or the adhesives used to assemble the product,” the statement read. Clark said her doctor believed nickel could be to blame for the rash, but that she’s worn metal watches before without issue. She’s worried that other materials, which may be harmful, could have been used in the product’s construction and wants answers. 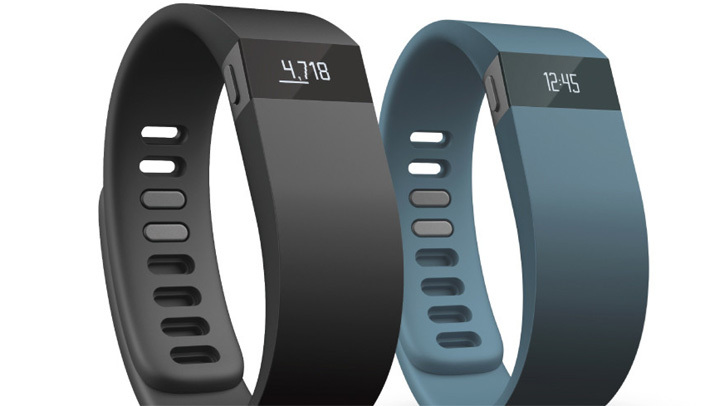 A Fitbit spokesperson says they do not comment on individual cases. Clark says she’s spent about $150 in medical bills and prescription treatments. The rash has since dissipated, but there is still discoloration on her wrist which the doctor believes should go away within a month. The suit does not request a specific amount of money, but asks for compensation regarding medical expenses and emotional distress. In addition to Clark’s suit, a class-action lawsuit was filed in California on behalf of customers in that state calling for a recall, public awareness campaign and damages related to the alleged issues. In a statement on that case, the company said it already issued a recall and takes issue with the suit. “Fitbit took initiative long before this complaint was filed, publicly offered refunds, and worked closely with the CPSC on its voluntary recall program. We strongly disagree with the statements about the product and the Company,” a spokesperson wrote.